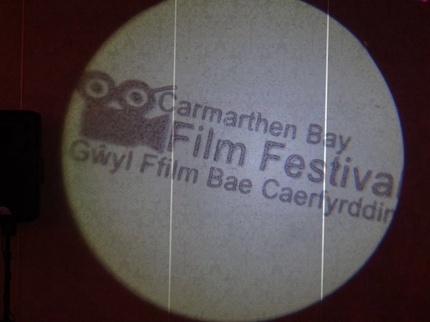 The 6th edition of the BAFTA qualifying Carmarthen Bay Film Festival will run from May 8-12 this year. Highlights include Dead Certain by Hendrik Faller, Shadow of the Missing by Jamie Lee Smith and David Campion, The Lighthouse by Chris Crow, By Any Means by Leighton Spence, Red by Branko Tomovic, The Wasting by Carolyn Saunders and Kidnap Me by Ross Aitken and James Browning. The festival will have something for everyone with films being screened from all over the world. There will be comedy, thrillers, SciFi, Drama and Documentaries plus q&a sessions with many of the attending film makers. RTS Wales will once again be holding a special screening and q&a session and BAFTA Cymru will also be present during the week. The 2017 award nominations have just been announced. They include The Wasting, The Lighthouse, Kidnap Me and Shadow of the Missing for Best Feature Film. The Foreign Feature Film Nominees are Kalichaat, A Damp Squib and Once There Was a Girl. Panic, Eggshells, Ghost Nets, Whoever Was Using This Bed, Blackmoor, Only Child and Red are in the running for Best Short Film.